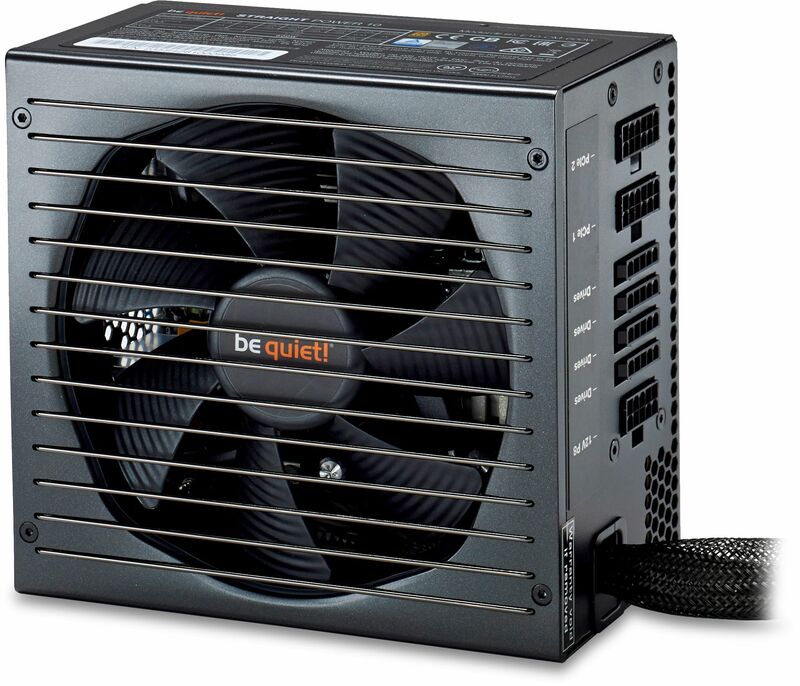 The be quiet Straight Power 10 PSUs offer a plethora of features and exceptionally low operational noise. The Straight Power 10 are a high-quality series of power supplies from be quiet!, with extensive options and whisper-quiet operation. Designed to offer a broad spectrum of performance and features, it is adapted to handle the requirements of mid-line to high-performance PC systems. The series is especially well suited for gaming and multimedia, power-hungry graphics applications and entertainment PCs. The Straight Power 10 CM power supplies provides a new level of silent performance for systems that demand whisper-quiet operation without facing the slightest compromise in power quality. 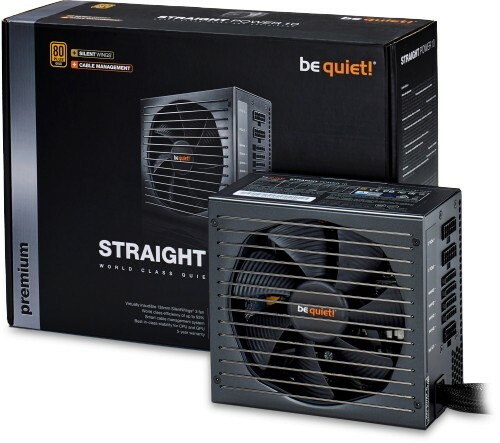 Our German team has updated and designed even more premium features into this generation of the Straight Power series, which make the Straight Power 10 700W CM more silent than ever and a clear ‘Best Choice’ for new systems and as a replacement in existing systems. Installed SilentWings 3 135mm fan includes a wide array of electronic and mechanical optimisations for best-of-class airflow with very low noise production, including: unique airflow-optimised fan blade design reduces noise-generating fan turbulence, advanced fluid-dynamic bearing with copper core provides for greatly reduced operating noise and super-long life and 6-pole fan motor with high-quality IC controller reduces electrical noise, power consumption, and vibration. Lower starting voltage of the fan reduces significantly the starting fan speed and noise level at low load conditions. Funnel-shaped fan opening of the PSU case is significant big and allows high airflow intake. SilentWings 3 fan is decoupled from the PSU body with special mount, further reducing transmission of vibration and noise. Optimised PSU airflow design generates superior cooling at lower fan speeds and reduces turbulence around components, thus allowing even quieter operation. Variable fan speed is optimally governed to strike the best balance between proper cooling and deep quietness. 80PLUS Gold certification independently verifies the extremely high operating efficiency (up to 93%) of this design. High efficiency means money savings, because your PC draws less power from the mains to do its work. This means less waste heat, less cooling required, and overall quieter operation. Standby drain of less than 0.25 Watts (</= 0.15W). Meets Energy Star 6.0 guidelines. Zero Load design supports Intel’s Deep Power Down C6 and C7 modes. Premium quality capacitors rated to 105°C for maximum performance, reliability and operating life. Full suite of top safety protections defends against over-currents, over- and under-voltages, short circuits, overheating and overloads, thus safeguarding your valuable components. Four independent 12V-rails improve power signal stability. Professional modular cable management system with removable cable bundles simplifies component installation, reduces annoying clutter, increases airflow and allows for improved cooling. Sleeved cable lengths up to 115cm allow for improved cooling and are perfect for large PC cases. Connectors are compatible with older components as well as those still on the drawing board. Individual P4 and P8 plugs on longer cables support all common mainboard types and allow routing behind motherboards for improved airflow. Four PCIe connectors for powerful multi-GPU configurations. Clearly labelled plugs and clever accessories promote simple installation.